At MWC 2018, HMD Global showed off five new Nokia-branded devices with the Euro price details and an estimated launch date. While we had been speculating and waiting to get a more concrete word from HMD Global, it has now officially listed its stunning new midranger Nokia 7 Plus in China. 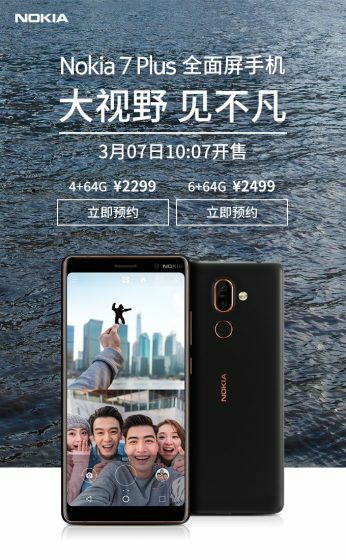 As you can see in the poster below, pulled from popular Chinese e-commerce site JD.com, HMD Global has today announced that the Nokia 7 Plus will go on sale in China on March 7. This surely took us by surprise, but what’s even interesting is the price of both the variants of this device. The 4GB+64GB variant of the Nokia 7 Plus will go on sale at a retail price of 2,299 RMB (approx ₹23,500/ $365) whereas the 6GB+64GB variant will cost you 2,499 RMB (approx ₹25,700/ $395). 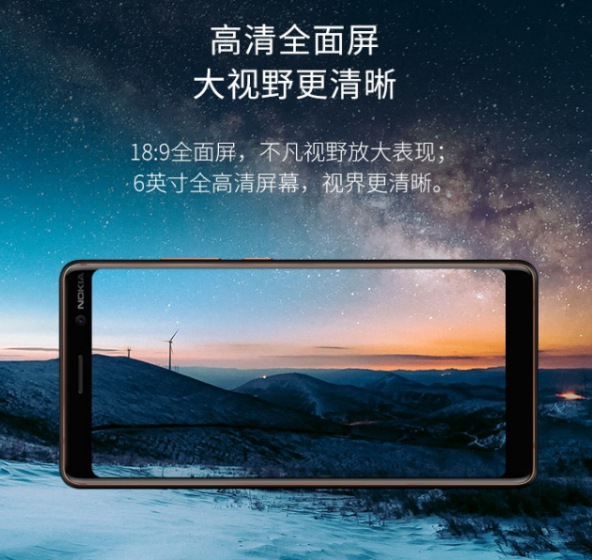 It seems like HMD Global has tried to keep the pricing of the device fairly competitive, so as to attract attention and buyers for the device. On stage at MWC, HMD Global had announced that the Nokia 7 Plus will be priced at 399 euros, which translates to approximately ₹31,900, and is arguably steep for the Indian market. The prices for China, however, are usually closer to the pricing for the Indian market and if the JD.com’s listed price is right, this could turn into a really enticing phone in the upper mid-range market. Nokia 7 Plus could also turn out to be the biggest rival to Moto X4 and Honor 8 Pro in this price bracket. Now that I have your utmost attention, let’s take a quick look at the specifications of this device as well. The Nokia 7 Plus is the first Nokia-branded phone to feature a 6-inch Full HD (1080 x 2160 pixels) IPS LCD display, with an 18:9 aspect ratio. It’s backed by the Snapdragon 660 chipset. You then have the option to choose between two different variants, i.e 4GB+64GB or 6GB+64GB. As for the camera department, the Nokia 7 Plus sports a Carl Zeiss-made dual unit on the back – a 12MP wide-angle lens and 13MP telephoto lens. The front hosts a 16 MP selfie camera, which will allow the much-hyped Nokia ‘bothie mode’ on the device. This attractive package from HMD Global is completed by Android 8.1 Oreo (as part of the Android One program, you can also expect long-term updates) and a massive 3,800mAh battery. So Nokia, if you’re listening then we really appreciate you for keeping the prices competitive and delivering a stock Android experience to users. Would you buy this phone at this price? Let us know in the comments below.